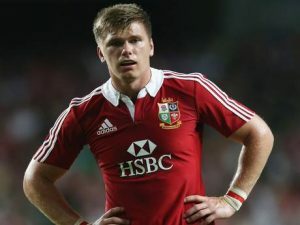 Saracens and England outhalf Owen Farrell who made such an impression on the recent Lions Tour of Australia. Connacht kick off their 2013-2014 Heineken Cup campaign at the Sportsground where they host wealthy English high fliers Saracens on Friday 11th October (KO 8pm). While it will be the first time Connacht face the London-based outfit in the tournament, Saracens have visited the Galway grounds before – for a pre-season fixture in the summer of 2010. Connacht’s first European game on the road brings the squad to Parma to face familiar Italian opponents Zebre on Saturday October 19th (KO 14:30). There will be no shortage of motivation for the newly coached Zebre, who following their inaugural year in the tournament, have yet to log a win against Connacht or any other team. There are back to back matches against Stade Toulousain in December with Connacht travelling to play in the 19,500 capacity Stade Ernest-Wallon on Sunday December 8th (KO 4pm). The French side, under Guy Novès, will return to the Sportsground on Saturday December 14th (KO 6pm). The final two pool matches, scheduled for mid-January, have yet to be finalised and will include the away game in Allianz Park, London and the home clash with Zebre. Connacht Rugby season tickets are the only way to guarantee entry to all Connacht home Heineken Cup games, as well as all 11 RaboDirect PRO12 matches in the Sportsground. Tickets can be purchased online at www.connachtrugby.ie/tickets or by phoning the tickets.ie hotline on 091 399 977.